Welcome to the wide range of spare parts for your Dyson cordless vacuums available here at 4Your Dyson. The Dyson cordless models range from HH08 to SV10 and we have spares for each model, including batteries, filters, tools and chargers. 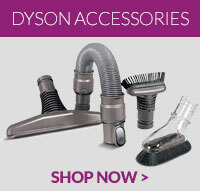 Our Dyson parts are of the highest quality and are available at low prices. All of our products ensure that your Dyson V6, V8 and subsequent models are running at the efficiently, with no loss of the original suction.